This feature generates rss files (one for each email box) to be read by a reader rss. the client can see the subject of the mail and unlock using the two opportunities: web or email. Watch the video in the special section! Keep a Copy of Message. 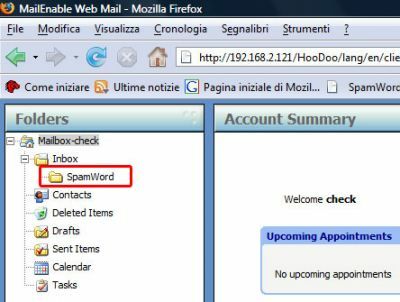 Flag “Keep a Copy of Message in \InBox\SpamWord With WebMail” if you want to save a copy of the messages blocked by the anti-spam system into the recipient Spamword folder in order to manage them through WebMail of MailEnable. 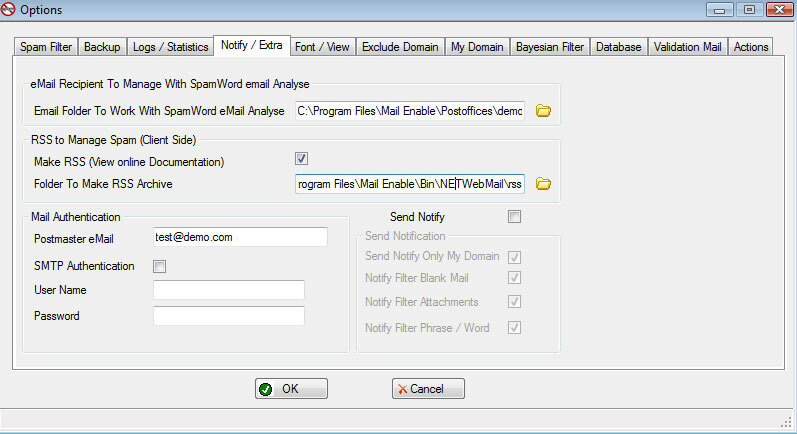 Flag “Email Folder To Work With SpamWord” Specify the folder Inbox of the mail you want to manage with the Mail Analyzer of SpamWord Manager. 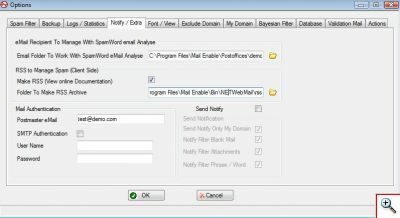 Flag “Send Notify” if you want to send an informative mail to the sender of the message blocked by the anti-spam filter. We warn against the use of this function because you take the risk to send notification mails to unknown senders or to the spammers themselves.